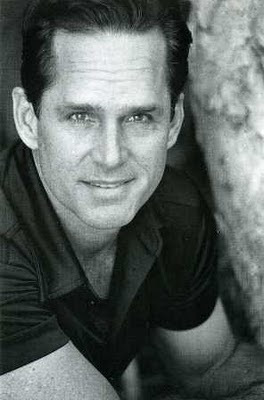 Actor Gregory Harrison will star @ La Jolla Playhouse in June in the world premiere of Surf Report. His association with Catalina Productions in Los Angeles for so many years put him at the top of his craft as a stage actor and theatrical producer. He revolutionized the theatre scene here and was rewarded over and over for those successes. Of course, he is recognized most for TV's Trapper John M.D. and the countless MOWs and Cable films he has done over the past thirty years. This ageless man, still an avid surfer, is now preparing to take on his dream role @ La Jolla. Q: I haven't seen you in a play in quite some time. What have you been up to theatrewise since Catalina Productions? Talk briefly if you would about Steel Pier in New York. I've stayed in theater fairly consistently since the Catalina Productions days. Though I moved up to Oregon to raise my family back in the early 90s, I've continued to drop in and out of the Broadway and regional theater world between film and TV gigs. Paper Moon came very close to the Broadway boards in 1993, though it never quite made it the next step past it's Papermill Playhouse version. That was a heartbreaker for me, and I took a couple of years off of theater after that...returning with Steel Pier in '96, which was an amazing experience. So much talent in that show, and taking a huge musical through all the stages of development was so satisfying. Of course, being in the room with John Kander and Fred Ebb as they wrote songs for me was a dream come true. I followed that with Follies for the Roundabout in 2001. Another great experience, and working directly with Sondheim was a real joy. He's an musical icon and a true genius. I took on Billy Flynn in Chicago after that, for a few months on Broadway and then a couple of years on the national tour. It's the first time I'd toured with a big show and I loved it. A year or so ago I toured about 20 universities with the LATC show TOP SECRET: The Battle For The Pentagon Papers, which we eventually recorded in Los Angeles. Q: Tell me about Surf Report and your role in it. Surf Report is a compelling piece that really intrigued me the very first time I read it. Of course, the title alone piqued my interest, since I've been an avid surfer for half a century now and still have the stoke of a teenager about anything having to do with riding waves. The role I'm playing is of a wealthy surfer/entrepreneur named Bruce Ernst, a complicated, self-absorbed, and completely surf-stoked resident of La Jolla, living in a cliffside estate overlooking the waves. This character is maybe the most suited to me of any role I've ever had...though he's quite a bit more brutally capitalist than I've ever been, and lots less introspective. But I definitely possess the earthy surfer side of him, and I have to admit his childish self-indulgence and ambition is somewhere in me, too. I'm usually fighting that side, but in this role I'm able to uncage the worst of it and embrace it, which is really perverse fun. That's one of the best parts of being an actor...being given permission to show your dark side and get away with it. Maybe even get applause for it. Ha! Q: What kind of role really inspires you at this stage of your life? I'm looking for a 3-dimenisonal character that conveys some type of truth and that surprises both me and the audience. I've played all the "good guys" that I can stand and am looking for roles that expose the light and dark sides. A good person isn't necessarily all good and a bad person isn't necessarily all bad. Shades of gray are where truth usually lies, and the challenge of acting those shades is what interests me as an actor. Of course, it takes a fine writer to create the opportunity to find those subtle, nuanced colors. Annie Weisman is that kind of writer, and has definitely provided ample opportunity for me with Surf Report. Q: You are comfortable in musicals as well as plays. Do you have a preference? I really love to sing, and I thrive on the high-energy style of most musicals. They're lots of fun, but they completely devour my time and energy and focus, so the rest of my life inevitably goes on the backburner. That's hard on me and it's been really hard on my family, so I've been very reluctant about committing to musicals over the last few years. Straight plays are not usually as demanding for me, and the runs tend to be shorter than big-budget musicals, so I've been inclined to find those opportunities. My life feels a bit more 3-dimensional when I'm doing a play, and I'm able to live a more fleshed-out life. It's funny, my entire career I've battled with finding balance...between the performer, the surfer, the parent, the husband, the naturalist, the traveler. I've always loved acting with a passion, but only in relation to the rest of my life. When acting is my whole life, there's a tendency for me to start looking for the light at the end of the tunnel, which isn't really a good way to spend one's time. So, the answer to your question is I truly enjoy them both, but with limits. Q: In talking about theatre to young actors starting out, what advice would you give? Well...I tell them the brutal truth, at least as I see it. If they can imagine doing anything else for a living, then that's what they should be doing. Seriously. Acting is one of the most competitive and grueling pastimes there is. The demands and the sacrifices of pursuing this for a living are so great that you will be destined for misery unless you are willing to give everything you have and expect almost nothing in return. You gotta love the process, and not focus on any imagined result. The love of one's craft, the rare brush with real artistry, and the brief moments of magical rapport with an audience are a sweet reward, but for most actors "the life" is a lonely one. I wouldn't trade my chosen career for anything, but I'm the luckiest guy I know. Q: Do you have a favorite actor/actress? Anyone that has especially been inspirational for you? Jason Robards, who actually "discovered" me in Catalina 40 years ago performing in a local bar, was a huge inspiration. He was a great man, and the kind of actor I've always aspired to be. Jeff Bridges, damn him, is having the career I always wanted, and he deserves it, too. We've both been acting about the same amount of time, and I've enviously watched him brilliantly negotiate the business and give the most amazing performances. He continues to inspire me, especially with his amazing performance in Crazy Heart. Q: Do you have a favorite play/playwright? An all time favorite? Not really. I mean, there are plenty of playwrights that I admire, but none that stands out above the rest for me. It's funny, I find the things that I favored as a young man have changed. The plays I related to, the performances I most admired, the songs I loved...they've all shifted around on my favorites list as I've aged. Q: Anything up on TV? What's next for Gregory Harrison? Any role you are just yearning to play? On film or stage. I've been regularly appearing on One Tree Hill for the last couple of years, and it's just been picked up for another season, so that should keep me relatively busy. I've got several irons in the fire musically, and a couple of theatrical ventures in the works. Too early to talk about though. I'm also developing a new cabaret show with a dear friend of mine, Linda Purl, and we'll be performing in several venues around the country starting early next year. That's something that I'm really excited about and am looking forward to developing. Q: Talk a bit about your association with La Jolla Playhouse and a bit more about this production. I've never worked here in La Jolla before, and have always wanted to give it a try. So far its been an absolute joy. The play is wonderfully written and beautifully cast, and Lisa Peterson is a fine director. This is a perfect project for me to take advantage of the area while also experiencing the excellence of the theater operation, so each evening after rehearsals I've been able to get in the water and surf until sundown, which is a rare treat while doing theater. I'm in heaven.